On June 5, the Ryan White HIV/AIDS Program (RWHAP) celebrated HIV Long-Term Survivors Day. The observance honors those who have defied the odds by living with HIV for decades and the future these individuals never imagined they would have. This year's awareness day marks two important milestones: 36 years since HIV was identified on June 5, 1981 and 21 years since Highly Active Antiretroviral Therapy became available in the United States. HIV Long-Term Survivor Day is significant because the new face of HIV is older. In 2015, 42.5% of clients served by the RWHAP were aged 50 years and older, and 88.8% of those clients were virally suppressed, which is higher than the national RWHAP average of 83.4%. Learn more about the Ryan White HIV/AIDS Program. 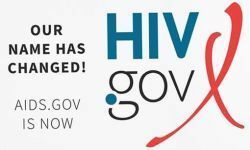 HHS has officially changed the name of AIDS.gov, the federal government’s leading source for information about HIV, to HIV.gov. The change coincided with the 36th anniversary of CDC's first report of the initial cases of what would become known as AIDS. The name change reflects major scientific advances that have transformed an almost universally fatal disease to a condition that, if diagnosed and treated early and continuously, can be controlled and prevented from progressing to AIDS. More people are living with HIV in the United States today than are living with AIDS. In 2016, more than 8 million people visited the AIDS.gov website and its social media channels to find information about HIV or HIV-related programs and services, including HIV testing, medical care, and treatment. The name change embraces the way most people now search online for information about the disease. On June 27, 2017 the Ryan White HIV/AIDS Program (RWHAP) will observe National HIV Testing Day. This year’s theme is Test Your Way. Do it Today. RWHAP provides HIV primary medical care, medications and essential support services to low income people living with HIV. More than half of people living with diagnosed HIV in the United States – more than half a million people – receive services through RWHAP each year. In 2015, 83.4% of RWHAP clients were virally suppressed. To get tested, find a RWHAP-funded clinic near you. 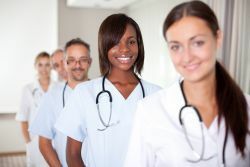 Using HRSA’s Health Workforce Simulation Model, the supply of and demand for all five professions are expected to grow between 2013 and 2025. General Pediatricians, Physical Medicine and Emergency Medicine professions will have a sufficient workforce to meet the increased demand. Due to population shifts and physician requirements for an increasing number of older Americans, the United States will have a shortfall of 26,980 Geriatricians and 820 Neurology Physicians in 2025. Visit NCHWA’s website to learn more. The HHS Office of Minority Health (OMH) has released a new competitive funding opportunity announcement, Empowered Communities for a Healthier Nation Initiative. Application are being accepted now through August 1, 2017. The initiative seeks to reduce health disparities affecting racial and ethnic minorities and/or disadvantaged populations. This program is intended to serve residents in communities disproportionately impacted by the opioid epidemic, childhood/adolescent obesity, and serious mental illness.